A week in the life of Arthur Morgan: Red Dead Redemption 2 on a schedule – AiPT! Red Dead Redemption 2 can be a daunting game for even the most dedicated gamer. Unsurprisingly, Red Dead Redemption 2 from Rockstar Games has been wildly successful. The Internet and YouTube are both overflowing with content about how to best play the game. And rightfully so. The game is a stunning achievement in graphical quality, detail, storytelling, and character development. Most of all, it’s expansive open world is teeming with life and practically begs you to interact with it. Choice is nothing new in video games however, few games – if any – have had the vibrancy or freedom of RDR2. Having this much independence I knew there was only one thing I could do; I made a schedule. RDR2 does everything it can to immerse the player. 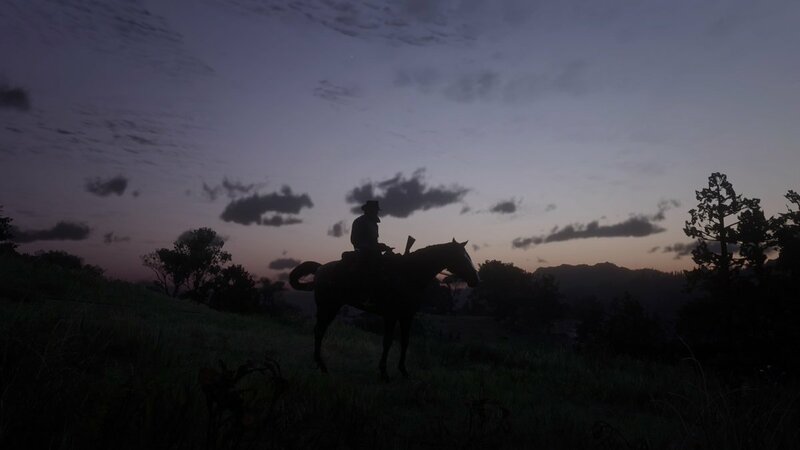 From the lack of immediate fast travel points to the relationship you build with your horse, this is a game that wants you to get caught up in it’s world. One thing it has not been able to get away from however are map markers. The game is too big to have players attempt to stumble upon the clues they need to advance the story. That being said, the map on RDR2 is a blank slate when compared to other games. Instead of being littered with symbols, the map has yellow dots for main story points and white dots for side quests. Initially I thought I would alternate between the yellow and white dots. The main goal was to keep the two equal For example, if I had five white dots and three yellow dots I would do two side quest in a row to even them out. I quickly noticed that white side quest would disappear as I advanced the main story. At this point keeping things equal did not matter to me. On top of losing the chance to do a mission, I also missed out on character development which is one of the greatest strengths of RDR2. I simply do all the white dots before moving on to the main story. I continue travelling to yellow and white dots, but by the time Wednesday has come around Arthur has been in many adventures. I can see the dirt and blood that I’m covered in while the characters comment on how much I smell. I would preferred not to walk around stinking, so at this point, I take a bath. I stick to the lonely standard cleansing. It is always nice to have an extra pair of hands while while washing yourself however, I don’t have time for a deluxe bath on a Wednesday night. I have held off the entire week but I just can’t stand it anymore. I need to play a few hands of poker. I am not sure what thrill I get out of playing multiple hands of low stakes poker but I will spend hours doing it. And it is not just poker; I also enjoy dominoes and blackjack which bring me even less money. The mini games of RDR2 do what they are supposed to. They are simple, fun, and addictive. Finally, the weekend has come around! I have ignored plumes of smoke, ran away from random encounters, and have not hunted in so long wildlife calmly walk up to me and start casual conversations. Friday is when I start to take full advantage of RDR2’s open world. Treasure hunts, customizing my outfits, wandering the plains on my horse, Peanut Butter; it all happens now. Arthur is also bathing regularly now. I even splurge for the deluxe bath. Life is good. Sunday All good things must come to an end. I quit any treasure hunts I am on and bathe one last time for at least a few days. I customize and save a few outfits for different climates and take one last fishing trip. I end the weekend having a nice prime rib and some whiskey. Red Dead Redemption 2 can be a daunting game for even the most dedicated gamer. It is not that the game is difficult (actually, a argument can be made it is too easy). It is the fact that it gives the player so much to do. There is no best way to play RDR2 and it seems impossible to get everything done in the game, so it only makes sense to act like a real cowboy and follow a strict schedule.